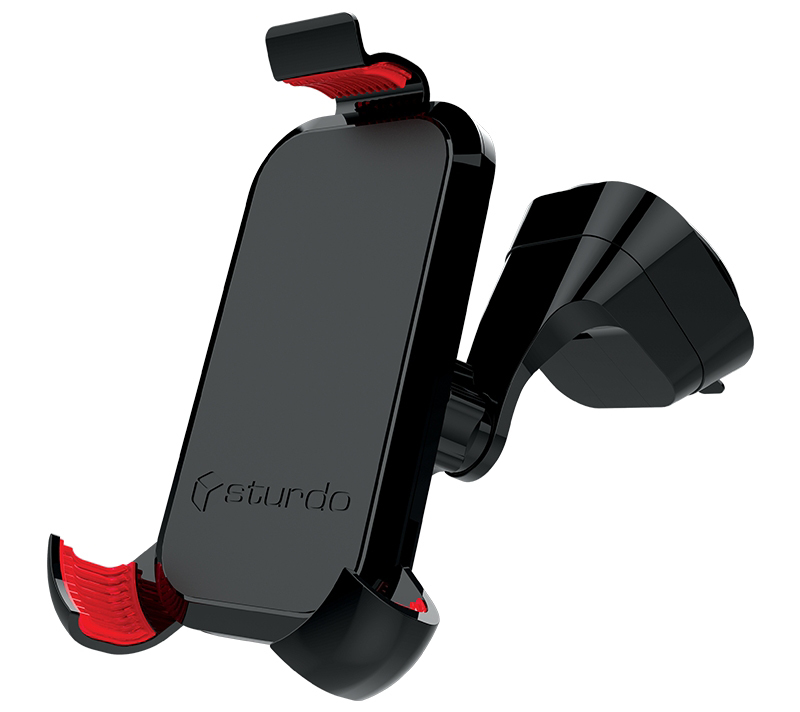 Car Holder Pro Sport is a new addition to Sturdo brand portfolio. Elegant and sporty look, a firm grip and comfortable handling are features which won’t leave any fast wheels lover cold. The front side of holder consists of hardened foam and side arms which are reinforced with non-slip rubber that partially dampens vibrations of phone during journey. The foam prevents scratches on the back of the phone. The upper arm can be loosened by 35mm by pressing the lever on the back of the head. Lower side arms can be rotated in opposite direction by 30°. Head position can be adjusted by turning to any direction. Suction cup with nano coating “nano pad” has a particularly firm grip so it perfectly adheres to different surfaces. 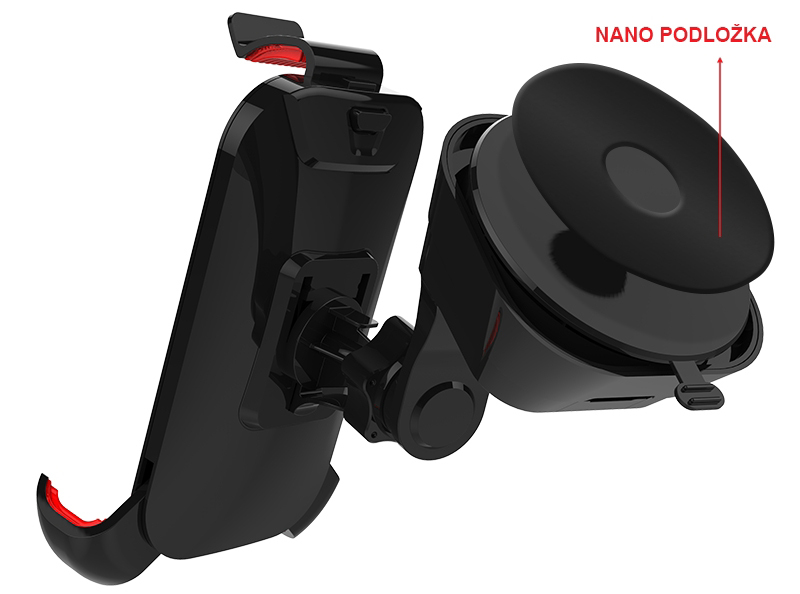 Using the nano pad, holder can be mounted on the dashboard with various types of surface. Mounting with side arms simplifies handling of the holder with one hand. 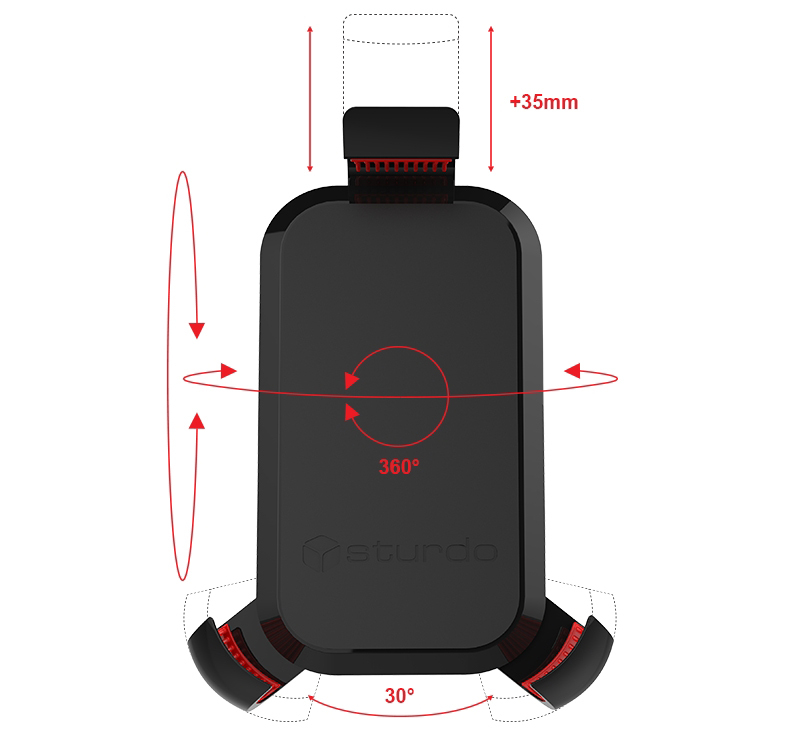 Head is compatible with phone dimensions from 55 x 120 mm to 80 x 155 mm.